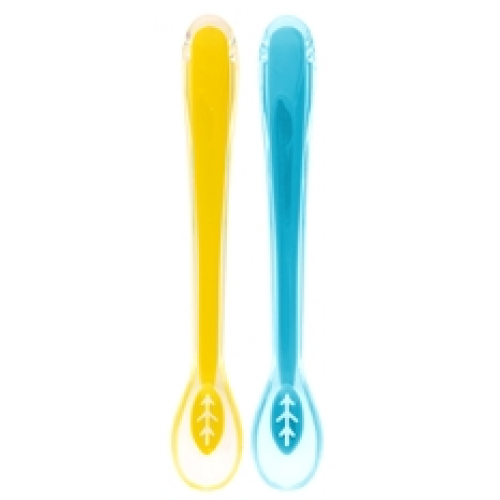 The Heinz Baby Basics® Comfygrip Super Soft Silicone Spoons 2pk protect your baby’s sensitive gums. They are made from taste free silicone and are perfect for feeding first solids. Their comfy curved soft grip handle has been designed to be easy to hold and they are perfectly sized to reach into tall jars with ease. The Built-in elevated foot ensures stability when the spoon is resting on a table or high chair tray.